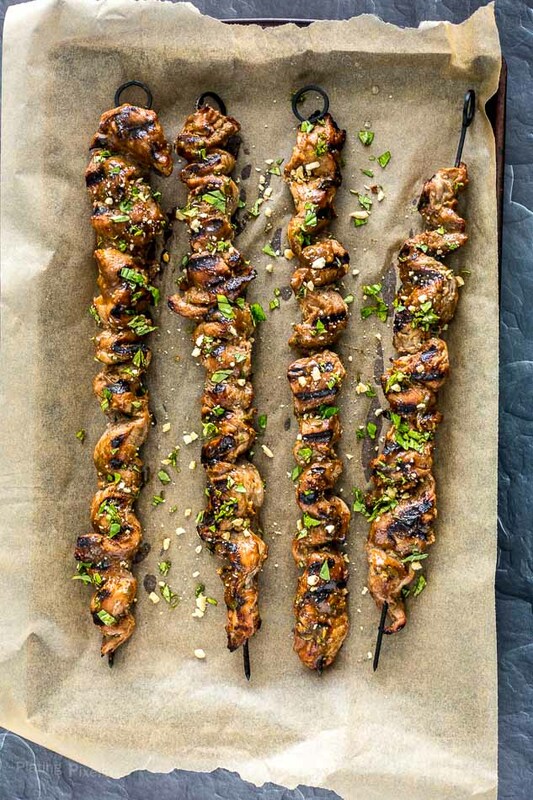 Simple Grilled Pork Satay Skewers are cooked within minutes and no marinating needed. Moist grilled pork tenderloin with a rich and flavorful homemade satay sauce. It’s fun to try out new recipes and cuisines. 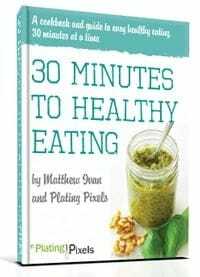 With 300+ recipes on the blog so far, there still never a shortage of unique recipes to create. This is in part thanks to our numerous collection of cookbooks and magazines, restaurant reconnaissance, and traveling to try new foods. Surprisingly, I’ve never shared or even made a satay recipe. 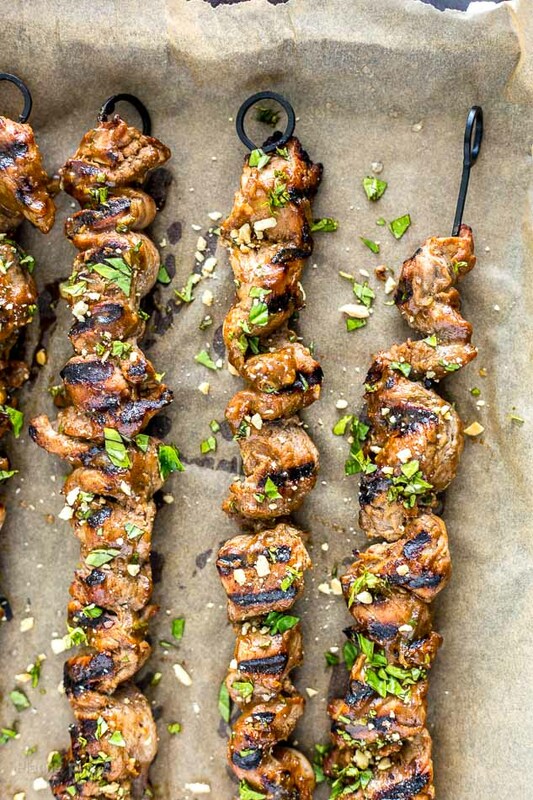 This Grilled Pork Tenderloin Satay Skewers recipe is a delectable way to start. Satay is a Southeast Asian dish that consists of skewered meat with a spiced sauce that usually includes peanuts. Sweet, tangy, salty, slightly spicy…all the good flavors are here. These Pork Tenderloin Satay Skewers are an authentic-style recipe made with a simple homemade sauce that’s great on the grill. What ingredients are in satay sauce? Sweet and sour sauce, coconut milk, minced garlic, peanut butter, basil and five-spice powder is all you need to create a thick and flavorful satay sauce. Toss in strips of pork tenderloin until well coated. 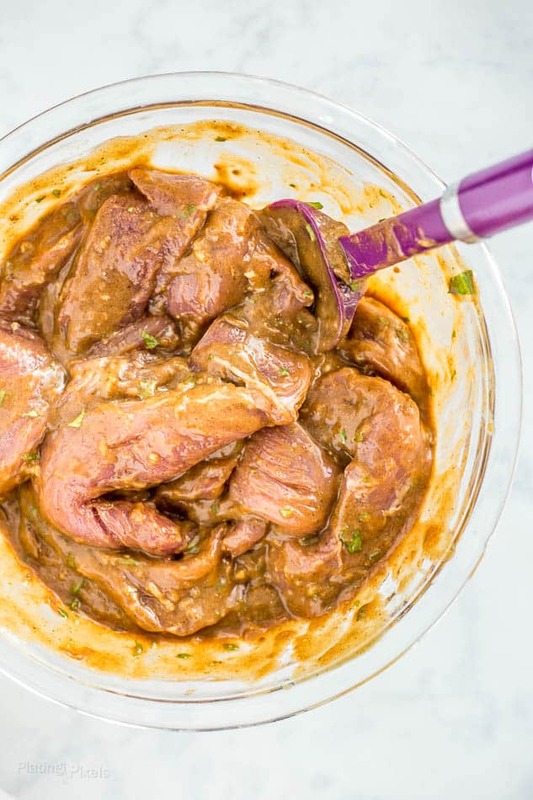 The sauce coats well, no marinating needed, making these Pork Satay Skewers quick and easy. Cutting the pork tenderloin into thin strips before grilling creates more surface area for the sauce and allows for faster cooking on the grill. Isn’t satay normally made with chicken? Smithfield Fresh Pork Tenderloin is an all-natural, tender, juicy, lean cut of pork that’s packed with flavorful protein. It makes a healthy alternative. Lean cuts such as fresh pork tenderloins and sirloins are a “heart-healthy food,” recognized by the American Heart Association. 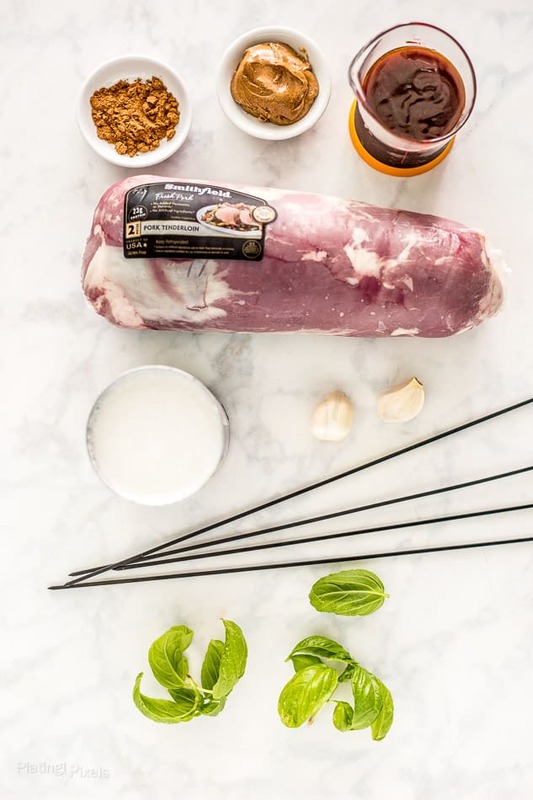 Made from 100% fresh pork with no artificial ingredients, it’s a healthy addition to any meal that can be sliced, diced or cubed to speed up grilling time. Fresh pork is a good source of vitamins and minerals including vitamin B6, thiamin, phosphorus and niacin. It’s also loaded with protein; one three-ounce serving of lean fresh pork provides 22 grams of protein with only 120 calories. Smithfield Fresh Pork products are available at select local grocery stores. 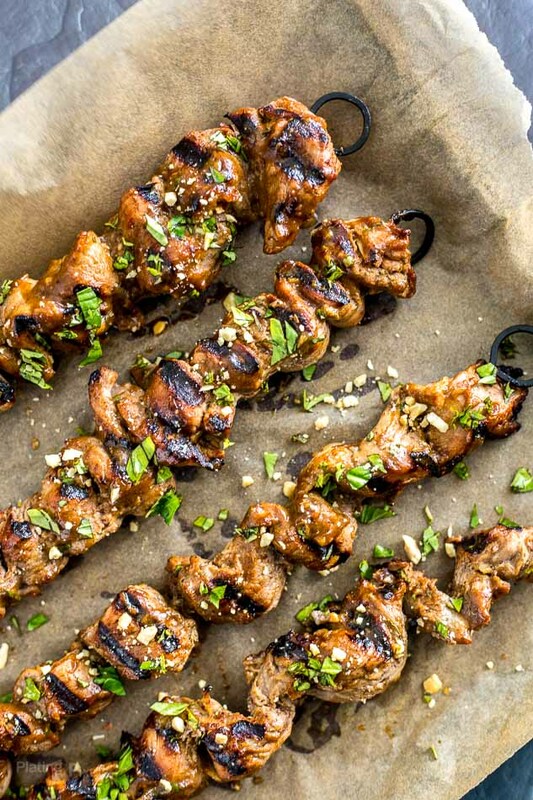 After you’ve made these Grilled Pork Tenderloin Satay Skewers, make sure you visit Smithfield.com for more quick, easy, and healthy recipe inspiration. Grilled Pork Tenderloin Satay Skewers made with a rich and flavorful homemade satay sauce. In a large bowl, mix together sweet and sour sauce, coconut milk, garlic, peanut butter, basil and five-spice powder. Set aside. Cut pork tenderloin into ½-inch square strips lengthwise and toss with satay mixture until well coated. Let sit at room temp 15-30 minutes before grilling, or cover and chill 1-2 hours to allow flavors to soak in even more. If using wooden skewers soak in water to prevent burning. Thread pork tenderloin strips on skewers accordion style, reserving remaining satay sauce. Preheat grill to medium heat. Add pork skewers, close lid and cook 5-7 minutes, until bottoms have sear marks. Rotate and coat tops with remaining sauce. Close lid and cook 5 minutes more, or until internal temp reaches at least 145-150° F. Sprinkle with chopped basil and peanuts as garnish and serve immediately. These sound fantastic, I love anything satay! These look absolutely incredible. I don’t have pork satay that often but its so good! Glad you agree Bintu, thanks! These satay skewers looks absolutely mouthwatering! Thanks for sharing the recipe! 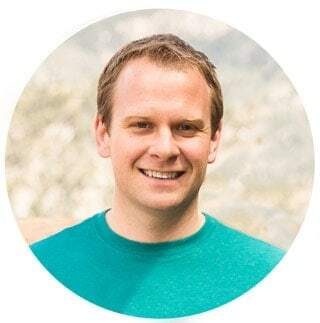 Hi Chris, thanks so much and you’re welcome! These look SO good. We usually do chicken satay, but I am going to have to try these. Hi Danielle. I’ve never made chicken satay, but these were definitely tasty and juicy with the pork. Pork tenderloin is something I always wish I had more recipes for. These satay look devine, can’t wait to try them! A agree Colleen. It a great tasting and lean meat, but seems like chicken is way more common. Hopefully recipes like that help provide tasty alternatives.